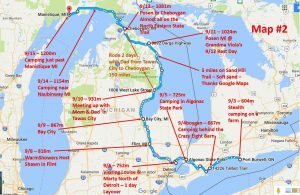 BiCi Co.’s Program Manager, Tony Cherolis, has been cycling cross country for three weeks and just surpassed 1,200 miles. It has been a valuable tour for information gathering. 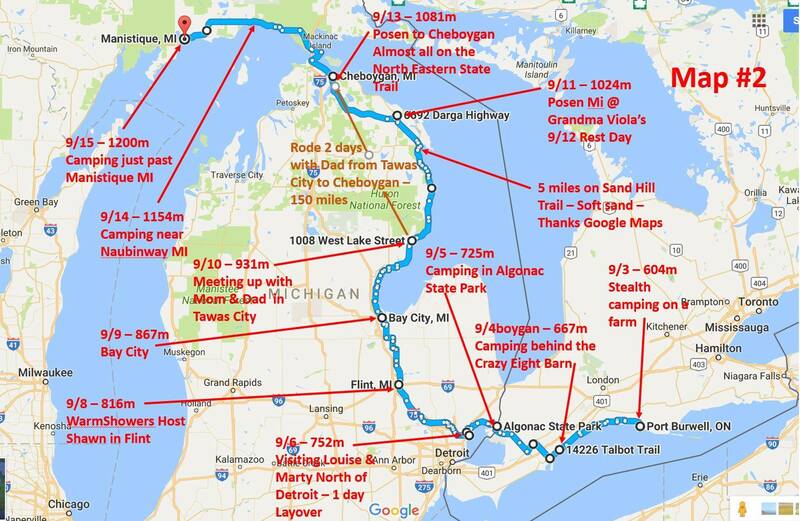 As he passes through cities along the way, Tony has been visiting their community bike programs, meeting with their staff, and taking copious notes that he’s bringing back to Hartford’s BiCi Co. project. In Buffalo, Tony visited GoBike Buffalo. They have been around since 2004. Their DIY bicycle repair hours (with membership) are complemented by retail sales, large ride events, and a school based Earn-a-Bike program. The Buffalo program occupies an entire former police department – at no cost to the organization. That’s when you know your city is excited about active transportation. Buffalo was recognized as a Bronze Bicycle Friendly Community and is working towards Silver in 2017. In Detroit “The Hub” fills the niche with a large used bike retail storefront. This project started back in 2000. The associated community operations, Back Alley Bicycles, has Earn-a-Bike youth programs that include a “Ride Club” to culminate each class with their bicycles. There are adult and youth DIY repair hours. 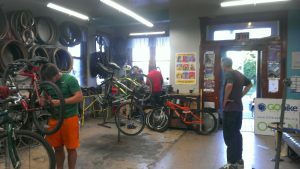 Back Alley Bicycles hosts mechanic skill training classes. Their program has been so successful that additional bike shops have opened up in Detroit – staffed with mechanics that learned the ropes at their shop. That’s exactly what BiCi Co. wants to see happen in Hartford. Our vision includes multiple bike shops in Hartford, serving our neighborhoods with convenient bike repair, accessories, and sales. We’re already planning for that future (desirable) competition – and hope to be the catalyst that creates it. Coming up on the tour Tony will be visiting programs in Milwaukee, Madison, and Minneapolis. Stay tuned! Don’t miss your chance to support BiCi Co. on our journey. We need you help to launch the retail storefront and expand our community programming (and storage) space at 95 Park Street. Renew your membership or make a supporting financial donation today!